In Ellie Beach Proposal Ellie and her boyfriend are going for a romantic dinner on the beach! To help them have a special day decorate the entire restaurant with candles and flowers. Drink champagne, eat strawberries and listen to music sharing lots of kisses! At the end of the night Ellie will also have a big surprise. What will it be? 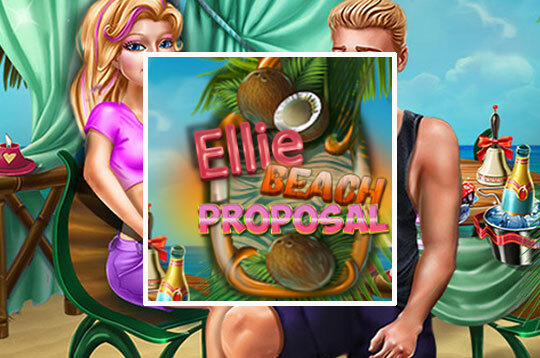 - Play Ellie Beach Proposal Free and Enjoy!